Vivendi's Los Angeles headquarters at the Howard Hughes Center might be gone, but what's taken its place will leave a lasting impact on LA drivers for years to come. 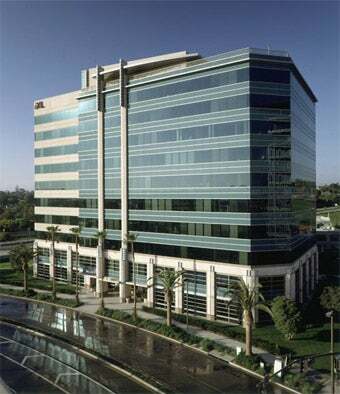 Following the 2007 merger between Activision and Blizzard, the old Vivendi headquarters at 6060 Center Drive became redundant, closed as a cost-cutting measure to help streamline the massive new company. And it has remain a closed lot, until now. Activision Blizzard has now granted a sublease with a company called Kiewit Pacific to occupy the space through February 2011. What does Kiewit Pacific do? Why, they are a design and development company of sorts, only instead of games, they design roads. Awarded part of a $950 million government contract, the company will use Vivendi's old digs while they work on the planned expansion of the 405 (San Diego Freeway) between the Santa Monica and Ventura freeways, an expansion that will have quite an impact on the commutes of local developers. The Los Angeles Business Journal writes that the deal reflects a boom in government contracting and the state of the video game industry. I think it's just interesting that the space that once held Vivendi is being used in a project that will have such great impact on the area's development community.